Configure machine to accept $10 & $20 dollar bills? Professional quality bill changer in a compact size! Holds 1,000 Quarters for longer service, option also available with Tokens. 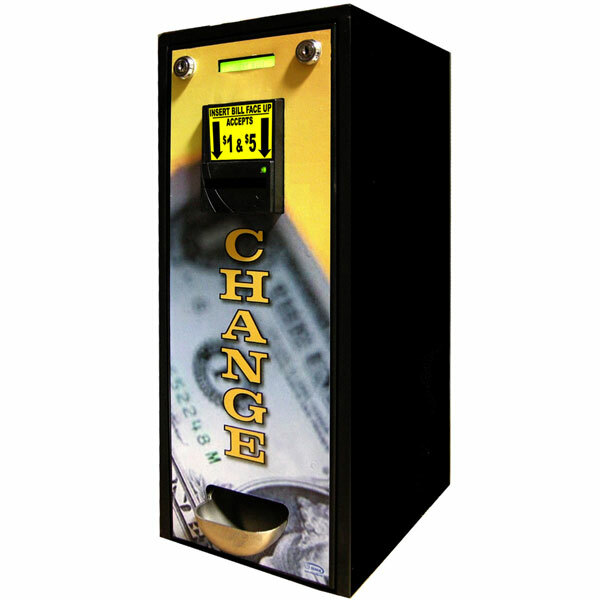 Abundant $250 hopper style changer dispenses quarters for $1 and $5 bills. Can be set to change $10 and $20 bills also. The LED readout communicates with customers when dispensing - "$5 = 20 Quarters" or when the unit is "sold out". 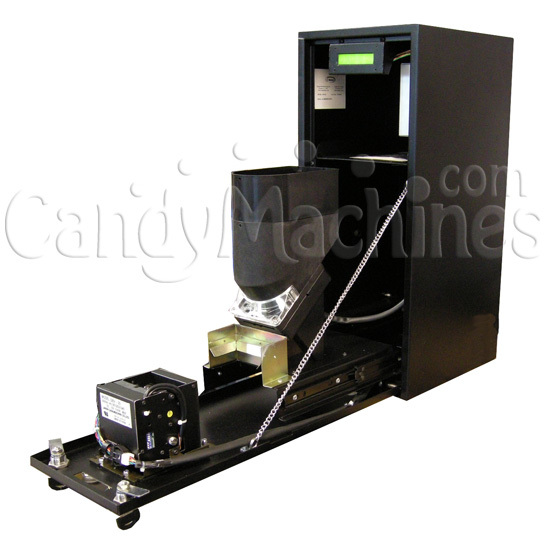 Convenient coin catcher makes retrieving coins easy. Easy to load - just pour in the Quarters. Easy to service and secure - dual locks and steel cabinet. The quarter capacity of this machine is $250. Note: Not for outdoor use. Outdoor restriction includes areas inside that are excessively dirty, have temperatures over 90 degrees F and/or 80% humidity or temperatures under 40 degrees F. Installations determined to be classified as Outdoor voids manufacture warranty.